Steam cleaners and more floor cleaning solutions. Who makes the best vacuum cleaner? Only you can answer that question. With hundreds of different carpet cleaning machines on the market it is nearly impossible for one person to proclaim that a single vacuum is the best. To determine what makes a vacuum the cream of the crop you need to do your homework. In addition, it helps to test out a few models to make sure that your needs are being met. What type of dirt will the vacuum need to pick up? How dirty does the house get? Are the allergies to consider? What type of floors are in the home? How much money is available for this purchase? Do you want a bag or a bagless style of vacuum? The same companies consistently get good ratings and it may be wise to consider one of these. As far as who makes the best vacuum cleaner for your needs? That will be your decision after you have done your research and tested different models in the store. There are a number of models to choose from. Some are the best for many floor types, some are the best for people with allergies, and some are the best for people with pets. This is a great all purpose vacuum from a company with high customer service ratings. Rainbow vacuums are unique because they use a water filtration system. This means that the dirt that is gathered from your home has no possibility of being expelled with the air that runs through the vacuum but is trapped in water. The reservoir is light and easy to clean. Rainbow has been around since the 1920s and, while not a well-known company, rates high in customer satisfaction continually. Riccar is one of the few, if not the only, vacuum cleaner that is still produced in the United States. It is not normally available in large department and discount stores, but you can find the machine in limited supply on the Internet at sites such as AceVacuums.com. 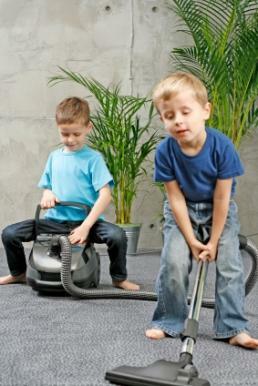 In addition, you can find the powerful carpet cleaning machines at local specialty vacuum shops. The Riccar Company has been in business for over 55 years. They have an excellent customer service rating. Hoover has been around since it was patented by a janitor in 1908. It's incredible popularity has made the company a household name. In fact, many Americans refer to vacuum cleaners as "Hoovers" regardless of whether they are made by the brand. The company makes numerous types of affordable vacuums to meet the needs of the average consumer. They consistently do well in consumer testing and have good customer service. The major benefit of buying from this company is the sheer number of vacuums available. It is important that you see the actual vacuum in action before you decide to buy it. Contact the companies and find out how you can get a demonstration in your home. Find out where the authorized dealers are located and go to the store to see how the vacuum works. By doing the research before you buy it is more likely that you will be happy with your purchase for a long time.